All in a day's work for a preschool teacher. True story, I have said or heard each of those comments. I started my new job a little over a month ago and there is rarely a dull moment! Not every part of the day is fun, though. As I’m sure many of you know, working with kids can be one of the hardest things you’ll ever do, but it is also one of the most rewarding. I read a Dallas Willard quote that recently that challenged my perspective on work. 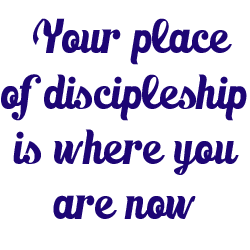 I’m paraphrasing, but it went something like this: “Your place of discipleship is where you are now.” Meaning, that God wants to use our work to help us grow in our relationship with Him. This book went on to point out a big issue in the lives of many Christians today. We feel a sense of spiritual connection on Sunday, but that connection rarely comes to work with us on Monday. What if God wants us to take Him to work with us? I don’t mean shoving the Bible down our coworker’s throats every chance we get. I’m talking about doing our jobs for God’s glory. Giving our best day in and day out so that God will be honored in our work. If we honored God at work, how would our communities be different? How many people could we encourage? How many people could we serve? Doing our jobs to honor God will show others that we actually live out what we believe. For example, I believe that God is loving, so today I am going to make an effort to speak kind words of encouragement to each of my students. Over the course of a school year, my words will impact my students and their families in a tangible way! Who can you serve today at work without expecting anything in return? You see, we overlook the fact that most of us spend the vast majority of our time at work. That could be work in an office, at a church, at your home, with your children, or any other type of work. Work takes up most of our lives. What if we allowed God to change our perspective on work? Instead of dreading going to work, we could see our jobs as an opportunity to worship God. I truly believe that changing our mindset could change our daily lives and the lives of those we work with. It all starts with our thoughts and our attitude. 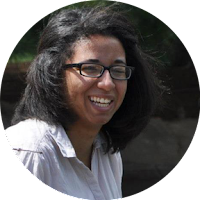 Work can be hard, and we don’t want to pretend like things are perfect when they aren’t. Believe me, I’ve worked at a few tough jobs in my life. I’ve had customers yell at me and treat me like a servant. I can’t control those things, but I can control how I react to them. Even if I never get the chance to lead one person into a relationship with Jesus at work, I want them to know that my life lines up with what I believe. Yes, I will take those opportunities to share the Gospel when they come up, but if my life doesn’t line up with the message of the Gospel when I share it with someone they won’t want what I have. Bottom line. As Christians we’re called to be salt and light in this world. Salt adds flavor and light brightens up the darkness. This is the kind of person I want to be at work. I want to honor God with all of my time, everyday, even at work. I want others to walk away after meeting me and feel encouraged even if I don’t get to share Jesus with them. I want the kids in my class to know that I care about them and am rooting for them to succeed. What can you do today to be salt and light where you work? How can you honor God where you’re planted?